Athabasca Country…it’s time for a little taste of #WolverineMadness! 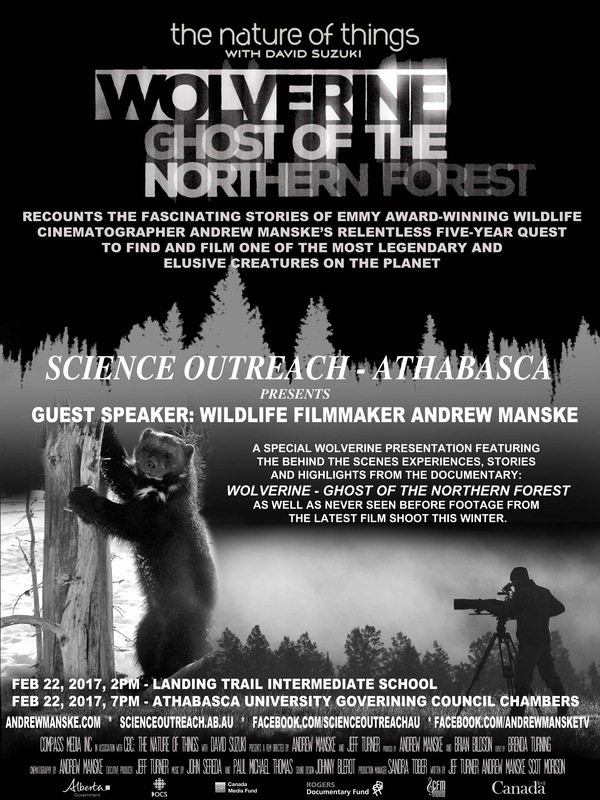 Science Outreach – Athabasca presents a special presentation featuring the behind-the-scenes stories and highlights from the documentary “WOLVERINE: GHOST OF THE NORTHERN FOREST” after filming wolverines for over 5 years in the wilds of northwestern Alberta. Feb. 22, 7pm Athabasca University.